Introducing our brand new illuminated LOVE sign which is perfect for weddings and special occasions. 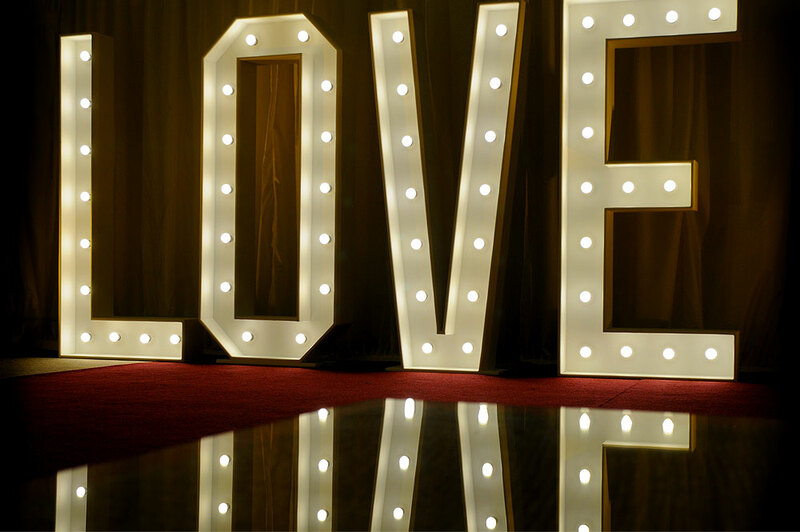 Standing 6ft tall and beautifully lit, this LOVE sign will stand in your venue and is sure to be a real talking point for you and your guests, and it also makes a fabulous backdrop for photography at your wedding. Available to hire from Event Hire UK, you can find our LOVE sign within our event decor section in our wider furniture hire range online. Speak to one of our expert sales team who will be able to assist you with whatever you need. Event Hire UK is one of the UK's leading suppliers of event furniture hire, commercial catering equipment hire, event crockery hire, cutlery and glassware hire, with sales and distribution centres across the country to be able to service most requirements efficiently and effectively. Why not find out for yourself why Event Hire UK is the go-to website for event planners, marquee companies, wedding planners and corporate hospitality organisers today.